Then the fun begins. Rolling, cutting, rolling, cutting. 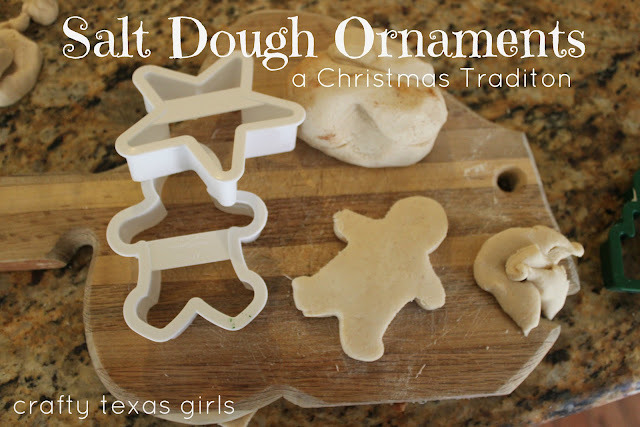 You can use cookie cutters, trace a hand, make an imprint, or use stamps. 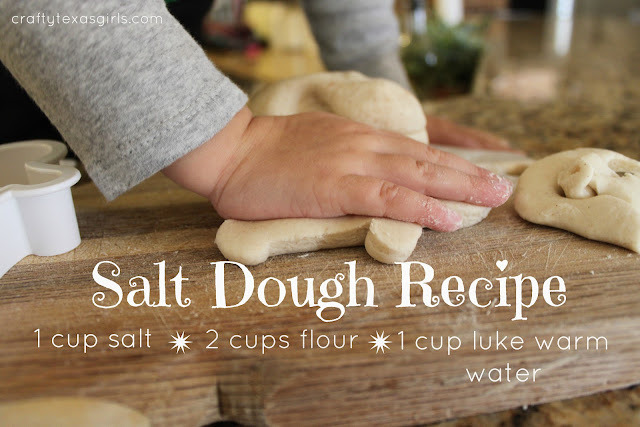 Add a little cinnamon to make your dough smell extra sweet. Notice her 'cinnamon mustache'? 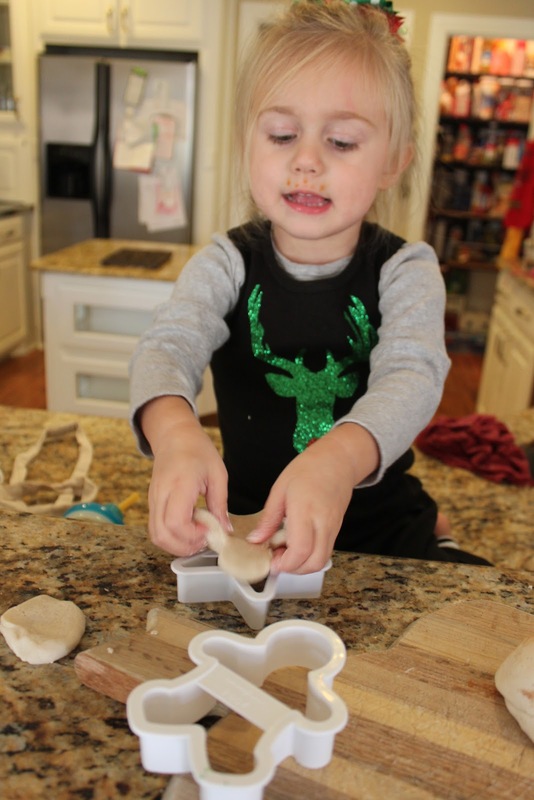 Gotta be careful when kissing Gingerbread Babies! If you want to save your shapes forever as an ornament, add a hole for the hanger. Then, let them air dry for several days or bake in the oven at 200 degrees for 1-2 hours until hard. Once they are dry, you can paint, add a ribbon and display. We ended up baking a few our favorite shapes. And the rest is in a big ziploc bag. It has become our new 'playdoh'. Maisy seems to enjoy the fact that she made it herself. Need a little more inspiration? 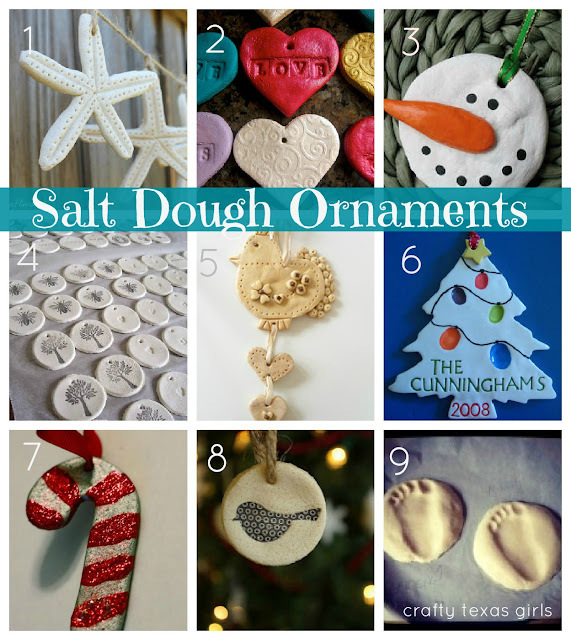 Check out some of these salt dough projects. What Christmas traditions do you look forward to each year? Love these and really want to try them with my girls!!! These are so cute. I came over from Book of LouLou. I have a link party called Wednesdays Adorned From Above Blog Hop and would love to have you share this with everyone. It runs from Wednesday through midnight Sunday. Here is the link to the party.